Here’s what we have planned this year and these are the tomato events – Tomato Eating Contest, Tomato Peeling Contest (peel tomato with your teeth), Salsa Contest, Best Home Grown Tomato Contest, Tomato Shoot (kiddos learn safety of shooting a BB Gun and shooting tomatoes), Top Tomato Poster Contest (children 1-3 grade draw their top tomato) and Farmer’s Market. The farmers sale thousands of tomatoes that day. We have over 200 vendors, Soccer/Tennis Tournaments, Got Talent Contest, Gospel Concert, Kids Zone, Antique Car Show, Motorcycle Show, Chili’s Street Dance (this is the only Chili’s that provides a Street dance) and fried green tomatoes! 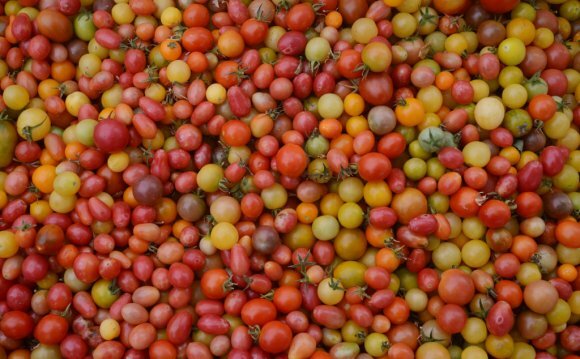 The most popular event of Tomato Fest is the tomatoes. People will drive hours just to get Jacksonville tomatoes. The Tomato Eating Contest is fun as we have our local celebrities fight to be the champion tomato. Food Network – Glutton for Punishment (Bob Blumer) wanted to break 6 world records – 1 being a bowl of salsa and selected several towns that held a Tomato Festival. Jacksonville was awarded the location to break 1 of his 6 records. This took place during the June 2010 Tomato Fest on the steps of the famous Tomato Bowl (football stadium). It was great – we had volunteers, tons of visitors AND in ONE day we made 2, 672 lbs. of salsa. Jacksonville is now recorded in the Guinness World Record as making the Largest Bowl of Salsa. To date, we still hold the Guinness World record. Half of the bowl is proudly displayed on a large entrance sign as you enter town – stating Jacksonville is home of the World’s Largest Bowl of Salsa.